A novel by Eugene Vodolazkin about the life of a 15th century medicinal monk became a huge hit in Russia. The book is now available in an English translation as 'Laurus'. What is the novel’s appeal? 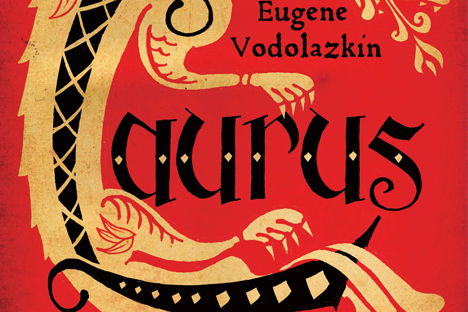 Vodolazkin’s spiritual odyssey transcends history, fusing archaism and slang to convey the idea that “time is a sort of misunderstanding.” Towards the end, the eponymous hero “Laurus”, a medieval doctor, holy fool, pilgrim and, finally, hermit, is leaning on an old pine tree. Ants are swarming over the bark and through the monk’s beard, epitomizing the idea that he has become part of the forest he lives in. The image is typical of Vodolazkin’s poetic vision. Laurus begins life as Arseny, who is born in 1441 near the Kirillo-Belozersky monastery. Orphaned, he learns herbal lore from his grandfather Christofer. Vodolazkin’s day job, as a medieval historian, means he is ideally suited to add plenty of authentic, plague-ridden details. The elder who gives Laurus this name (his last of four names) sees it as apt for an aging healer, because the laurel tree is evergreen and medicinal. Laurus is both the word for “laurel” and the name of a Christian martyr. The young Arseny’s medical skill could not save the woman he loved, and her death is the catalyst for everything that follows. In a recent interview, Vodolazkin compares this part of the plot with Dostoevsky’s Crime and Punishment. The spiritual and psychological elements of Dostoevsky’s work have clearly influenced him and, though he sees his novel as “unprecedented,” Vodolazkin does have parallels among other postmodern, Russian authors. He attempts to convey the idea that love exists outside time, just as Mikhail Shishkin did in his epochal novel The Light and the Dark. Like Lyudmilla Ulitskaya’s Daniel Stein, Laurus harnesses a range of styles to convey the peripatetic, religious life of an unusual human being. Vladimir Sorokin’s surreal novels also mix different registers to create a pseudo-historical montage.